Nearly all the bedrooms have two beds. A couple have four beds. As we know that some people need singles we will be using a number of the twin rooms as singles. If there are three people in your party and you wish to avoid a single supplement book a triple and a folding bed will be put into your room for the third person (or a cot for an infant). All the bedrooms are ensuite. For most bedrooms this consists of a toilet, sink and bath with shower overhead. 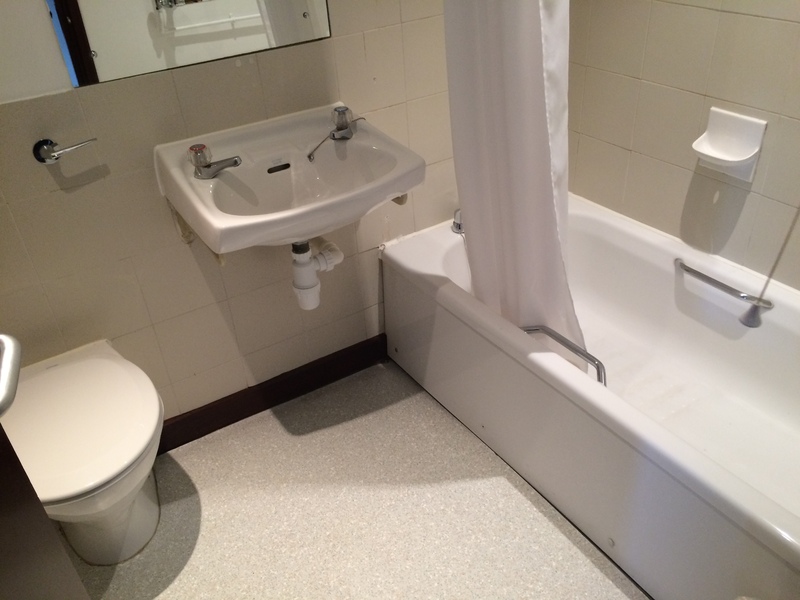 The accessible bedrooms do not have a bath; instead they have a walk in shower. Please be sure to close the bathroom door when having a hot shower or bath. This is to avoid the steam setting off the bedroom's fire alarm. Here is a picture of an ensuite bathroom. The venue will provide one towel per participant. The accommodation consists of two ground floor corridors, two first floor corridors and one second floor corridor. There is a lift and stairs for one of the first floor corridors and the second floor corridor. The other first floor corridor is only reached by stairs. If you cannot manage stairs your bedroom will be on the ground floor. This is in case there is an emergency and/or the lift stops working. The venue has three adapted bedrooms on the ground floor and one on the first floor. A number of Autscape participants have mobility difficulties and not all need adapted bedrooms. Only you know if you need one. Please mention directly in your booking if you need one of these rooms. The first floor one can be reached by lift however it would not be suitable in an emergency for people who cannot manage stairs. 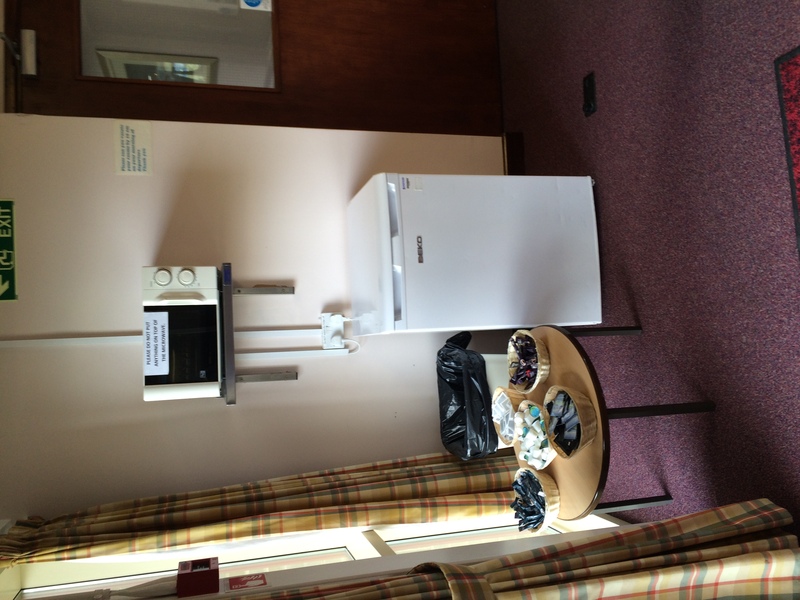 All bedrooms have kettles, one cup per participant, tea and coffee. If there are children but no adult in any bedroom please tell us if you want the kettle removed. The venue often remove them from children's rooms. Some bedrooms are close to staff bedrooms. If you only want to have your bedroom close to other Autscape participants please mention this when you book. As the staff need to sleep, the venue prefer that we are quiet between the hours of 11pm and 7:30am. All bedrooms have locking bedroom doors. Keys are used. The venue charges £20 for lost keys. Bedrooms must be vacated by 10am on the last day. The venue prefers people do not eat meals in their bedrooms. They are willing to make exceptions for us if someone needs this. You must mention this need on your booking so that we can allocate you a bedroom that isn't too far from the dining area. The venue has a main dining hall and an adjacent smaller conference room that will likely be used as a quiet dining room (to be confirmed). The bedrooms are in one area of the site. The conference facilities in a second area. The two are joined by a corridor. There is a new conference room which is not in the second area; it is joined to the second area by a covered walkway. 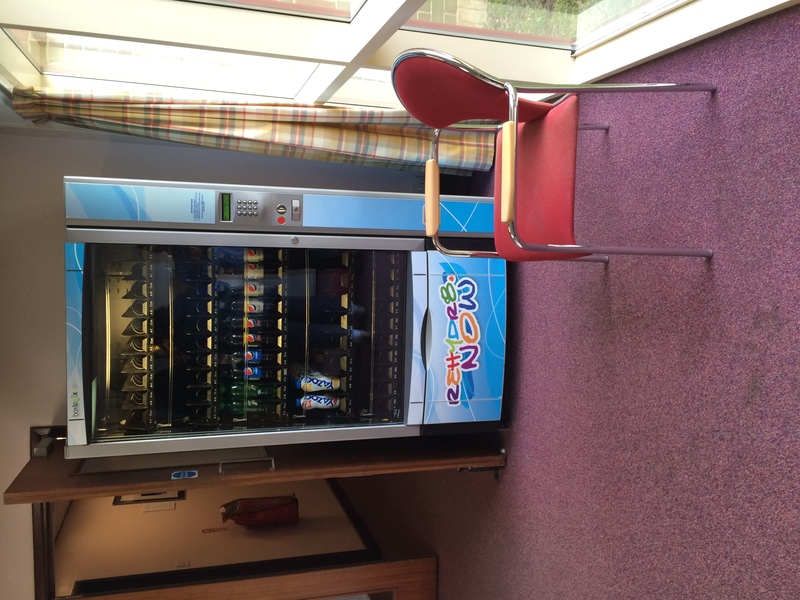 There are no steps between the conference facilities and the ground floor accommodation. It is suitable for wheelchairs. Bedrooms are not over conference rooms. All bedrooms have a desk. Each room should have a map of the centre and a map of the surrounding area. There is no television in the bedrooms. There is one television in part of the communal lounge. The twin rooms are of a good size. They are not like the ground floor rooms Autscape had in 2016. There is space for two strangers sharing a room to store their luggage and have adequate personal space. 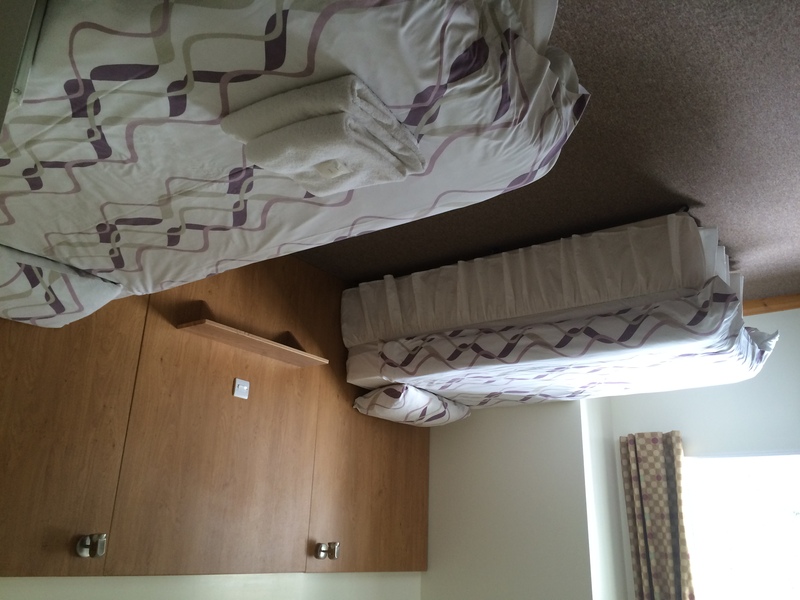 If you book a twin room and do not have someone to share it with we can match you with a room mate. We plan to send out the room matching information sometime around May or June. There are two sizes of twin bedroom. A smaller number are slightly bigger than the others. In general people who have asked to have three people in their bedrooms or are being matched for their room mate will get priority for the larger rooms. People taking singles will have the standard sized twins. This is subject to the other bedroom requirements you may have. There are fire doors in the corridors. These are closed at night. Unlike last year aerosols are allowed in Kings Park. In general electrical appliances may not be brought on site. Exceptions are made for items like phone chargers and laptop power packs provided they are in good condition. Larger items such as irons, heaters, toasters and microwaves may not be brought on-site. Other exceptions can be made for things like hair dyers and hair straighteners although Autscape may have its own rules about hair dryers. If so that will be in the information pack. No pets except guide dogs are permitted. These are some venue pictures to give you an idea of the bedrooms. vending machine It is usually better stocked than the photo shows. fridge and microwave. There is only one fridge between everyone. The microwave is only for the heating and reheating of baby food outside of meal times. Each bedroom has a kettle.